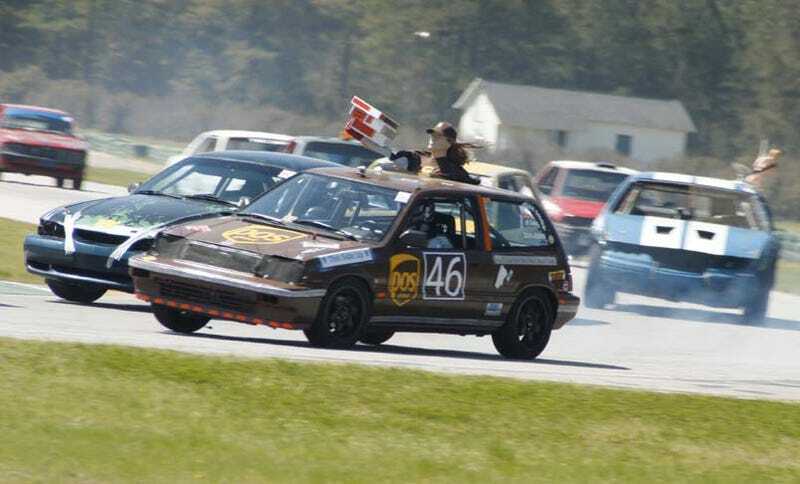 After every 24 Hours Of LeMons race, we put together this list of the top finishers for you. And when we say "top," we mean "every single car that managed to get onto the track." I'm providing each car's best lap time (which should confirm once again that having a fast car isn't the most important thing for a LeMons team), as well as the number of BS Inspection penalty laps (if any), plus awards earned by the team. You racers in need of all my original, full-resolution shots of your car in action should email me and I'll get them to you. When you're done here, be sure to check out LeMons Supreme Court Justice Lieberman's coverage over on Speed:Sport:Life.